So you can experience the ultimate in easy-to-use cord cutting setups in your living room, we've teamed up with our friends at Roku and TCL to end the year with a blockbuster giveaway including a Tablo 4-Tuner OTA DVR, new Roku TV Wireless Speakers, and a 55" TCL 5-Series Roku-enabled Smart TV. One of the key decisions to make when you’re considering cutting the cord, is how to best get content from streaming services, networked DVRs and other gear to your big screen TV. Cord cutters have two main options for this today - connect a streaming set-top-box like Roku, Apple TV, Amazon Fire TV or Nvidia Shield to your existing television, or buy a new all-in-one Smart TV. We’ll look at what you need to consider before making a choice, as well the benefits and drawbacks of each. At one time, the only way you could watch live basketball games was through an expensive cable package. With the average cable package hovering at $100 or more, it’s a hefty amount to pay if you’re just interested in watching sports. Thankfully, there are tons of options nowadays for cord cutters to watch basketball and all types of sports live, without cable TV. The best part is these are all legal methods, so you don’t have to worry about finding a sketchy stream and hoping your computer isn’t overrun with viruses. Here’s a look at your best options. The first week of January each year, the world's consumer electronics manufacturers converge on Las Vegas to showcase the newest and hottest invovations and once again, Tablo will be there. This year, we'll be previewing two highly anticipated new native apps: one for Apple TV and one for LG WebOS Smart TVs. Today, we've very excited to announce that the updated Roku channel as well as apps for Amazon Fire TV and Android TV are finally here! As you may know, we've been working really hard over the last three months to deliver these new apps so you can enjoy the same beautiful Tablo experience you're used to on tablets, smartphones and PC/MAC on your big-screen TVs. 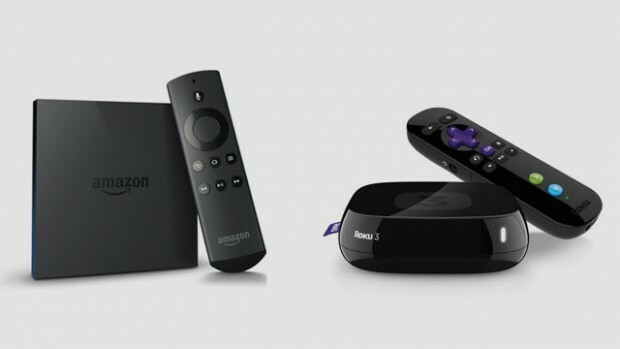 As you might know, Tablo recently announced a new Roku channel as well as interfaces for Amazon Fire TV and Android TV would be coming in the first quarter of 2015. When we unveiled screenshots for both interfaces earlier this month, people got pretty excited.